As the season begins to unfold and deer hunters are getting ready throughout the nation, the store shelves begin to fill back up with hunting gear because “they” know we forgot to get something or a bunch of something’s for hunting season. Whether you are online shopping for the best deals or getting lost in the sporting section of Wal-Mart, here are some wants and needs the deer hunter for 2018. I had to stop myself at 18 pieces of cool gear. In reality, this could have been 100 and possibly more. Here are some really awesome items and new hunting gear for 2018. For anyone who likes to go off the grid, this is your ticket. 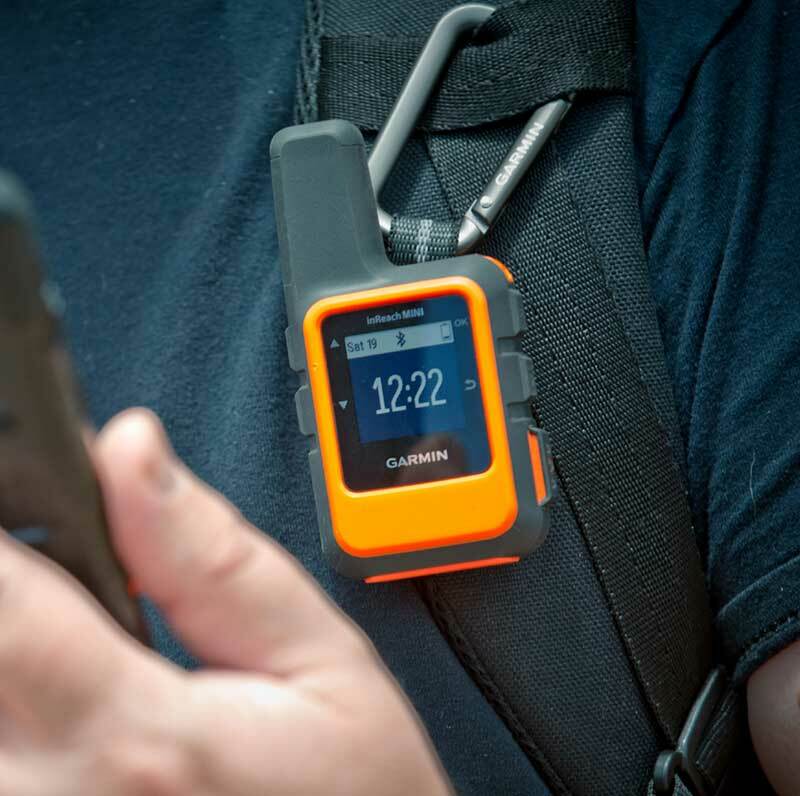 Camping, hiking, hunting or fishing, the Garmin inReach Mini is a great tool to help you stay connected outside of cell communication. The palmed size satellite communicator is packed with features but without the bulk and weight of your ordinary satellite communicator. Send and receive texts through satellite, track and share your journey, and if needed, trigger the SOS alert to provide you with 24/7 emergency services. If you plan to go off the grid, have a family and want to stay connected, this might be the best gift you could give yourself. Scent control is a must for deer hunters and everyone knows that is no secret. 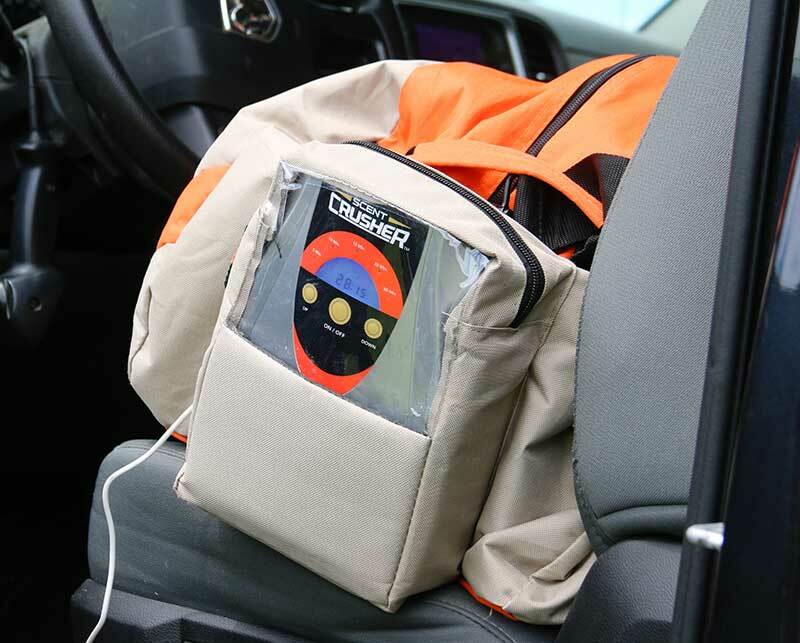 For the traveling hunter or weekend warrior, the Scent Crusher Gear Bag is a great tool for your arsenal. Not only will it help in eliminating bacteria that cause odor, but it also provides a means to keep your gear clean without needing a washing machine. Through the science of Ozone, get yourself the product that truly kills the root of the odor, not covers it up. My favorite part of hunting camp was listening to grandpa tell his hunting stories from back in the day. The only thing that would have made those stories more interesting, aside from the sun-stained photos, would be video. Filming your hunts, however, can be a difficult task with all the gear required in the field. That’s where the Tactacam makes things easy. The new Tactacam 5.0 records in 4k for Ultra HD video that can be played back in slow motion to watch your shot impact. Attach it to your bow, gun or anywhere you like and with one press of a button, you are simply recording. If attaching a camera to your weapon isn’t for you or you want to double up on the footage, this may be the way to capture your hunt in the first person. The Lidcam Plus is the “under the brim of your hat” camera that records in 1080p with up to 8x zoom. It also features a rotating camera lens for that down the barrel or through the peep of your bow look. 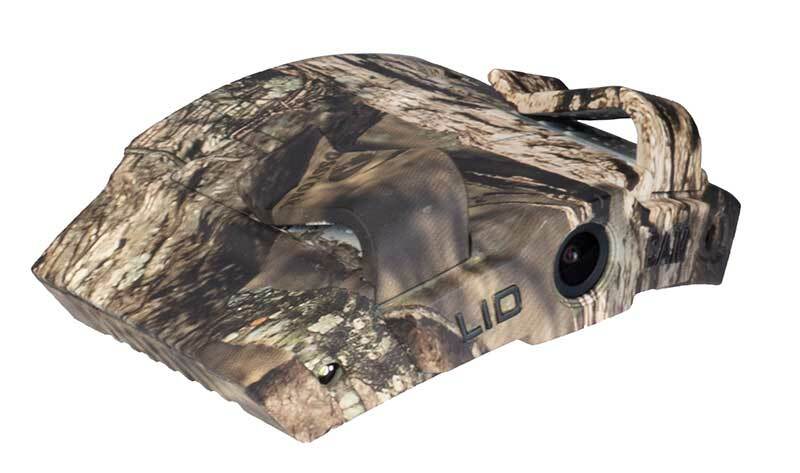 This ingenious camera is great for deer hunting of course, but perfect for waterfowl, small game and upland hunting too. I know what you’re thinking because I thought the same thing: When and where in the world would I use the X-Stand Night Vision Binoculars Deluxe? Truth is, you would use these anywhere you would use a headlamp, flashlight or even spotlight and then more places than you can imagine. They’re visible up to 110 yards at night and over 400 yards during the day, this device not only sees through the darkest of nights, but it also has the ability to record video and take photos. That’s right, if you are predator hunting at night, these are ideal as well. No more do you need to shine and flash deer with your headlights or spotlight while out scouting at night either. Simply hold these up to your eyes like a pair of binoculars or strap that to your face and walk into your stand undetected. A tool you may now want, but never knew you needed. Sometimes the best products are created as a result of something else. Not to get weird, but things like the Viagra pill was created for those with high blood pressure and turned out to be a big help to aging men. I know it got weird, but before you skip on, ElimiShield shares a very similar story. It was originally designed for disease and infection control in the healthcare industry and found that it kills all bacteria including those that cause odors. Use the three-step scent control measure by starting with personal hygiene, including the Core Body Foam and Hair and Body Wash. 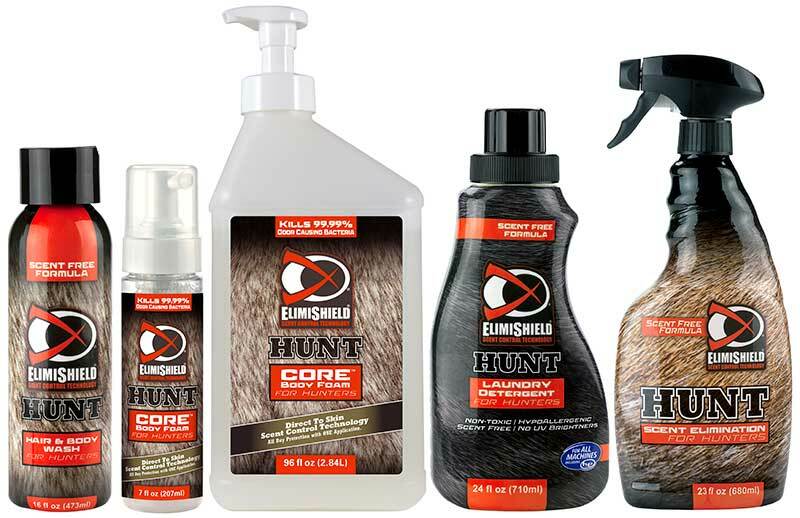 The next step is to keep your hunting clothes clean with the ElimiShield HUNT Laundry Detergent. Then lastly, top everything off with the Scent Elimination Spray. 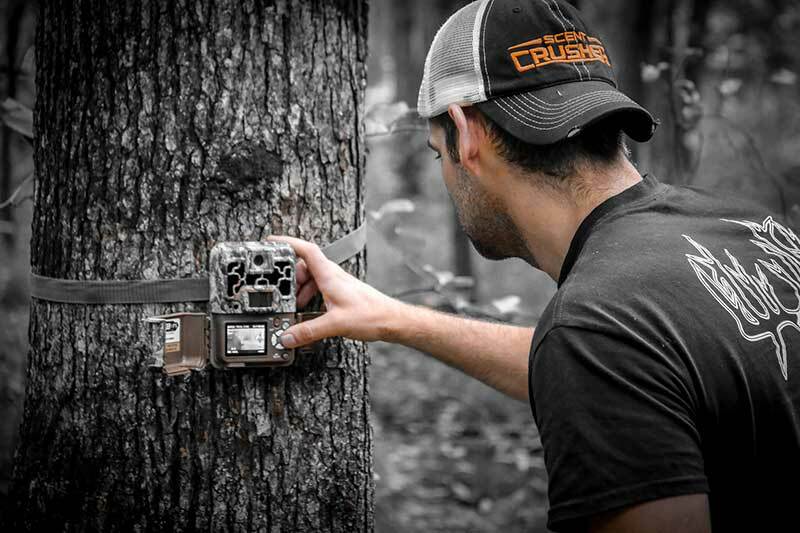 One product you can never have too many of is trail cameras. With so many different brands and budgets, it’s hard to choose just one. Currently, I’m running seven different brands of trail cameras and I can surely say my two favorites are the Browning Trail Camera line and the Moultrie S-50i. As someone who performs multiple trail camera analyses and need clear and crisp, night and daytime images, I am very particular about my trail cameras. However, if you are just looking to grab some photos here and there, there are trail cameras that fit every budget and needs. A product you may never know you need until it’s too late. The QALO ring is a functional wedding ring for those who are active in any aspect of their life —fitness, outdoor adventure or someone who works with their hands for a living. 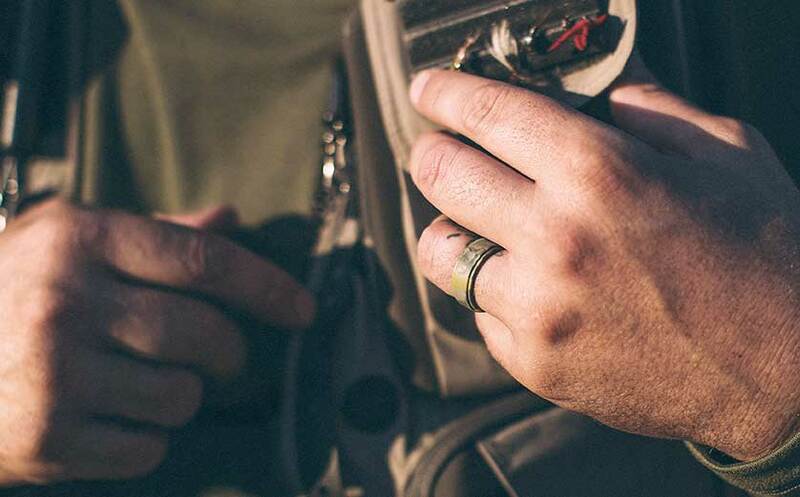 The QALO ring is a great way to share your commitment to marriage without risking injury or the loss of your actual, expensive wedding band while out on your adventures. The FieldTorq Knife is a modern-day, deer hide zipper, just in knife form. The design of the FieldTorq knife is a blade that can be sharpened multiple times while boasting a gut hook that won’t clog with hair. It’s unique design also ensures you don’t accidentally poke or cut into the guts, bladder or anywhere you don’t want to. 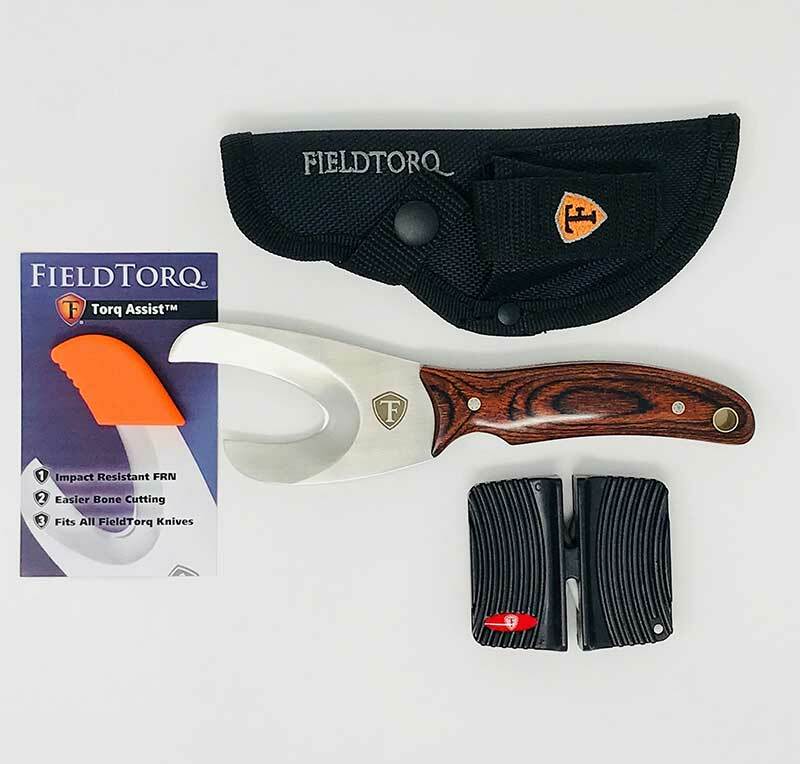 If you are new to field dressing big game or have hundreds under your belt, the FieldTorq Knives will make it easier regardless. Anytime you can combine one task with another to save you time, you’re winning. 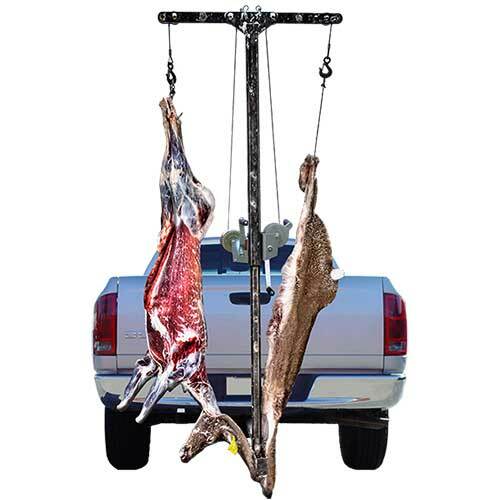 Koola Buck not only designed a tool to help you, single-handedly, hoist a deer into the back of your truck when afield, but they added an extra tool: The Hide Ripper. That’s right, a task that often takes you anywhere from 10 minutes to upwards of 30 minutes, can now be done all in one motion in under minutes. As you lift and crank your deer from the ground up, the Hide Ripper from Koola Buck works to pull the hide off your deer all at the same time. Talk about time-saving and convenience. Reach for the stars or at least the branches that can obstruct your shot. 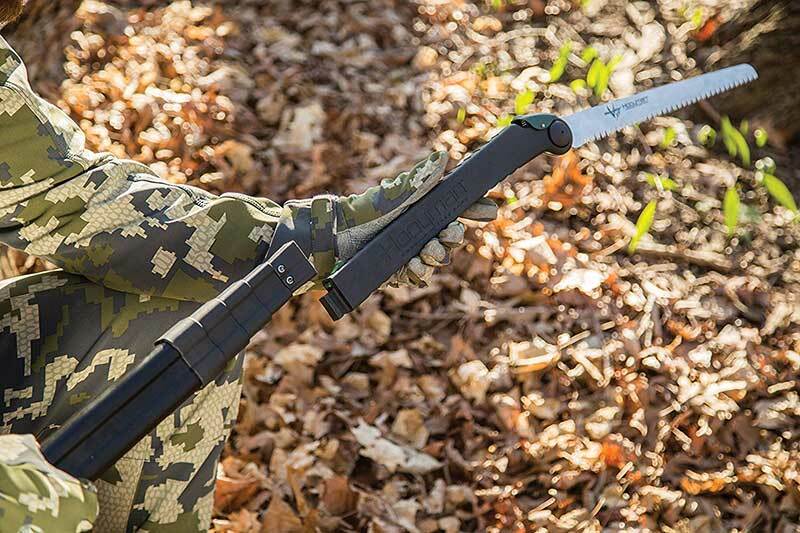 Collapsible to four-feet and extendable out to sixteen feet, the Hooyman Pole Saw can take care of your shooting lanes from the stand or ground. Made from SK5 Steel with impulse hardened, tapered teeth, you will have no issue getting through even the toughest of branches. For anyone filming their hunts, this is a must. Compact, light and strong are three words that don’t often describe a camera tree arm until you buy a Fourth Arrow Stiff Arm Elite. 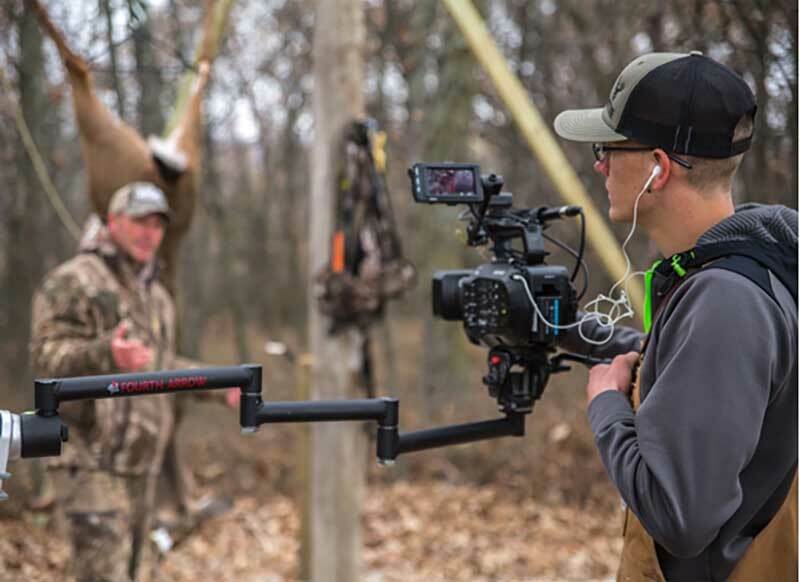 This rock-solid piece of equipment was designed with professional hunting videographers but made for everyone from amateur to expert. It’s built to provide smooth, quiet, motion and stability for your cameras as you hunt from above. If you are a ground blind hunter, you can check out their website for their tripod and monopod arms. 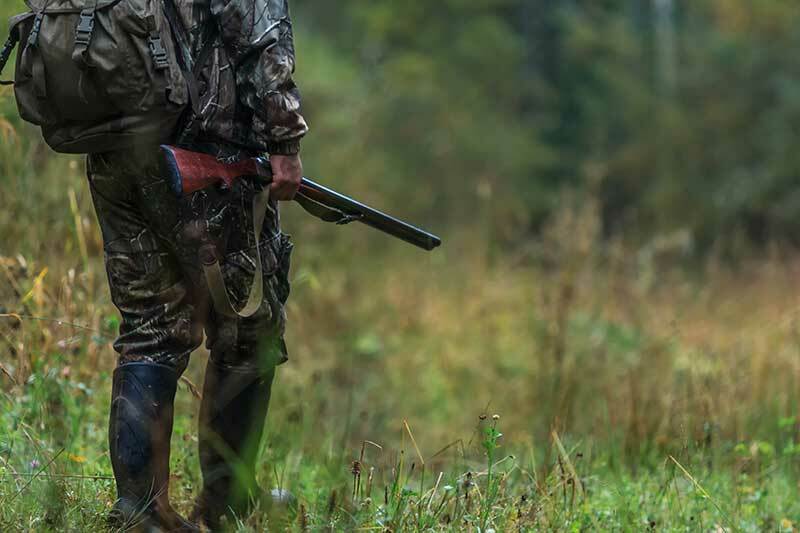 Ramp up your hunting excitement by hunting over a decoy this year. Nothing says “fighter” like a scar on the face and that’s where this decoy gets his name. He gets his hunter’s favorite and high-star reviews by being a decoy that offers motion. 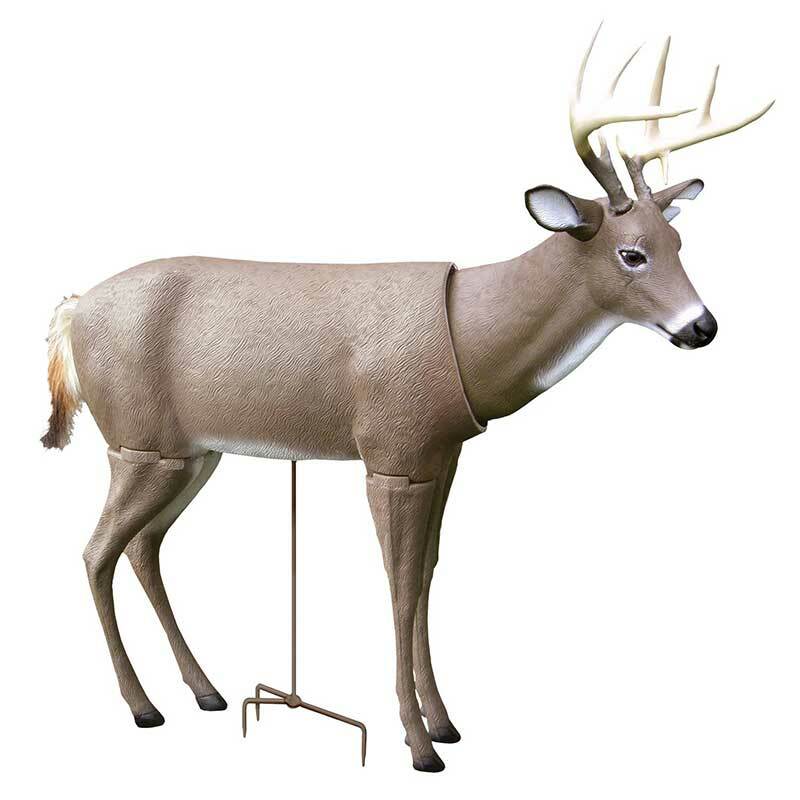 The slightest of breezes move both the tail and head of the Scarface Decoy making this a deadly combination to anyone’s hunting arsenal. 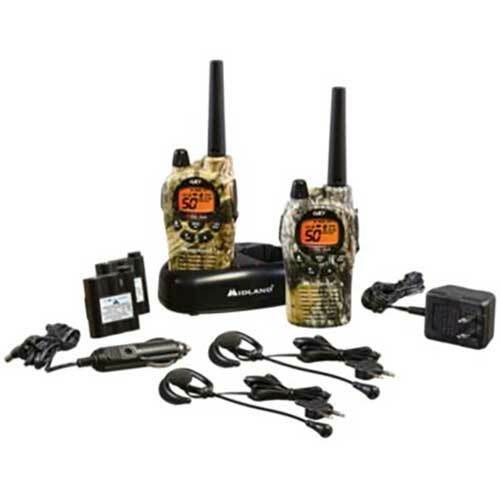 For those who hunt in groups, hunt where quick communication is key rather than texting or phone calls, or would just rather have a more efficient way of staying connected to one or more people, you can’t beat the Midland GXT1050 two-way radios. 36-mile range, crisp and clear communications, weather alert and with a three-year warranty, the GXT1050 is a great gift for any outdoorsman or woman. Designed to fit nearly every arrow on the market. 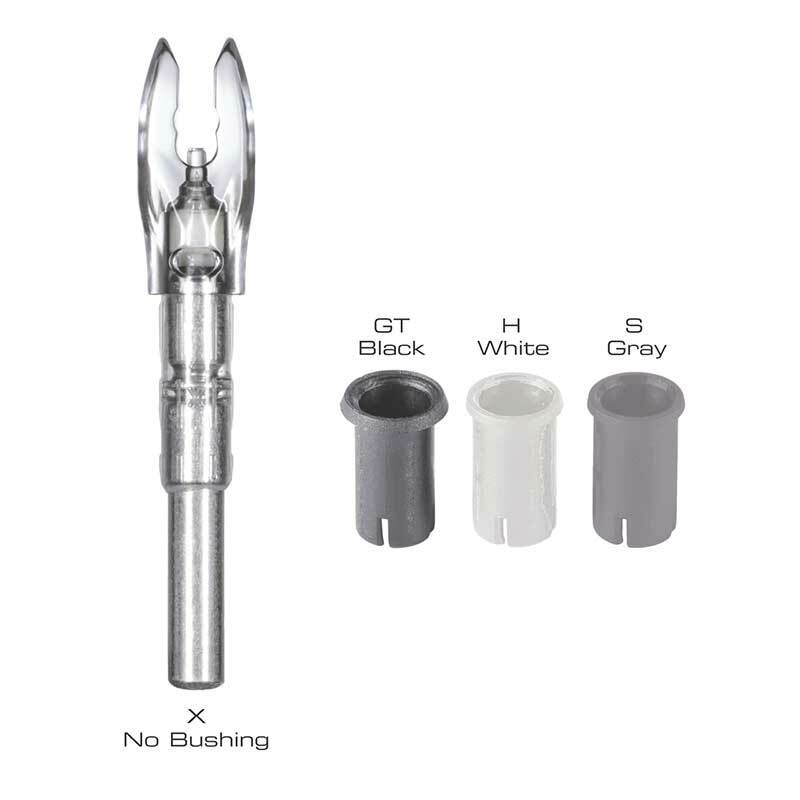 The lighted arrow nocks are bright and offer many benefits to bowhunters. From being able to visualize your shot placement to helping locate your arrow after the shot, the Nocturnal lighted arrow nock can help in game recovery tremendously, not to mention they are fun to use. Think “Jack of all trades” but with a sleek design and made for everyday use. 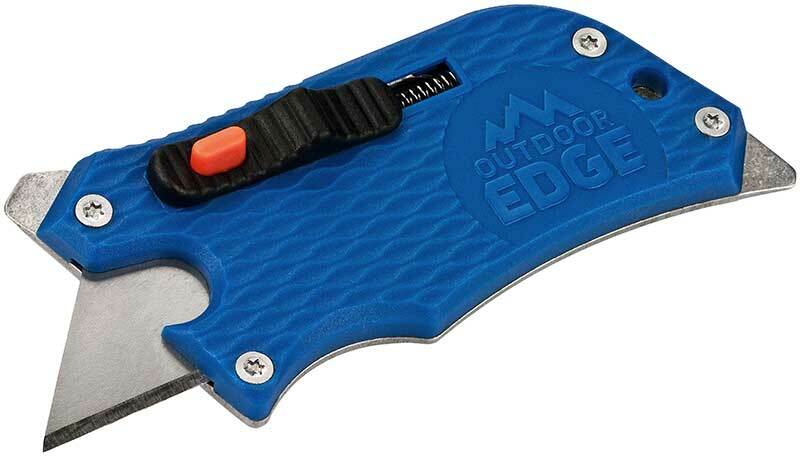 The SlideWinder is redefining utility knife and is made with many extra goodies. The compact SlideWinder can fit in your pocket or even on your keychain. It incorporates a flat head and Phillips screwdriver and also a bottle opener. A great tool to take care of the majority of your hunting and camping needs: A knife to cut up the venison bologna, bottle opener to pop open a cold one and then a flat-head and Phillips head to fix anything that may go wrong with the first two steps. The brand that is known for the best jerky seasoning now makes prepackaged beef jerky. If time or even meat supply is low, beat the clock by ordering beef jerky directly from Hi Mountain Seasoning. Multiple flavor options packed full of protein and great for all-day sits or long hunts. Last, but certainly not least, treestand safety. 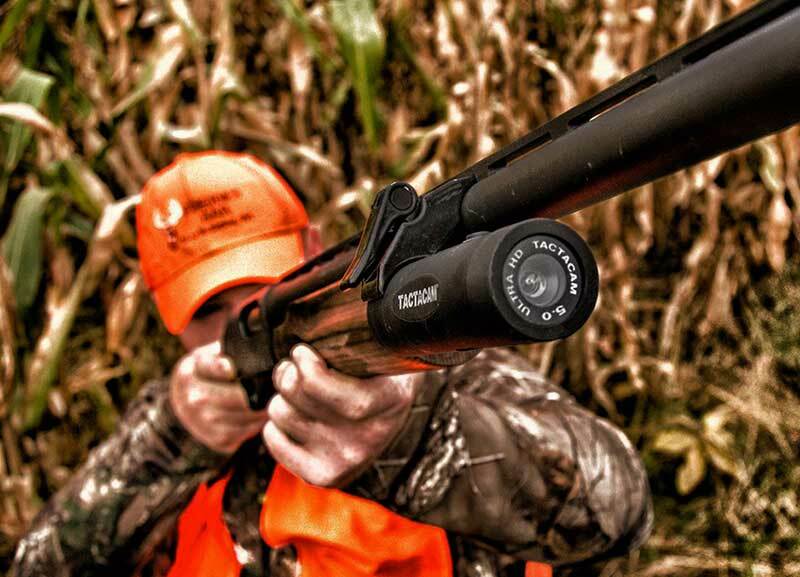 Hunter Safety Systems took requests from hunters and brought back the Pro Series but in a much lighter, hi-tech material with many extras. The new Pro Series features a charging port specifically for a phone or flashlight. Charging your phone is as simple as plugging it into your vest and placing it in one of the pockets. The vest also features binocular/rangefinder straps, two zippered chest pockets, and six gear pockets. Often not thought of by hunters, but treestand harnesses accumulate a great deal of odor through a season and many times do not make it to the laundry. 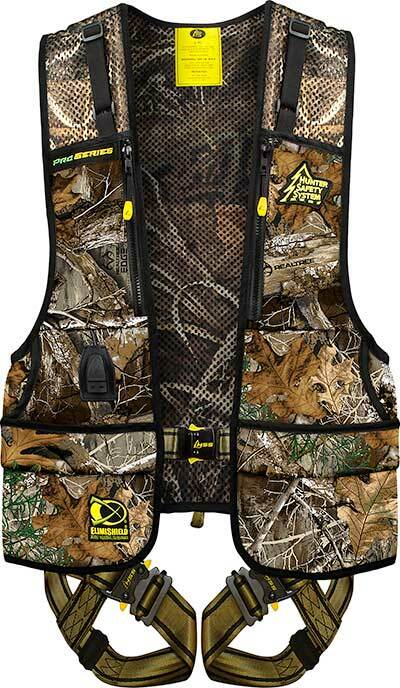 HSS included ElimiShield fabric in the new Pro Series to attack and kill all odor-causing bacteria making the harness your least concern for scent control. Like I said in the beginning, I stopped at 18 for no particular reason other than it’s my favorite number. I could have kept going and never finished this article. I keep my eye open for hunting gear that will help me be a better hunter all year long. I hope your season is off to a good start and if one of these 18 helps you be successful, drop a note and send a pic of your trophy.